Club flag of the Spanish flag with shield. Flag made of fabric with plastic stick. This is the perfect accessory for cheering parades or warm the atmosphere in a bar. 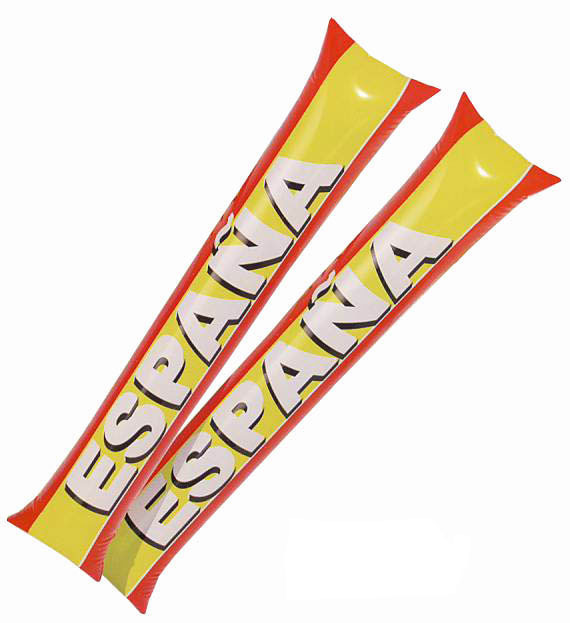 Flags sold by pack of 24 units. Flag : 42 x 31 cm Stick: 60 cm. This article cannot be returned.